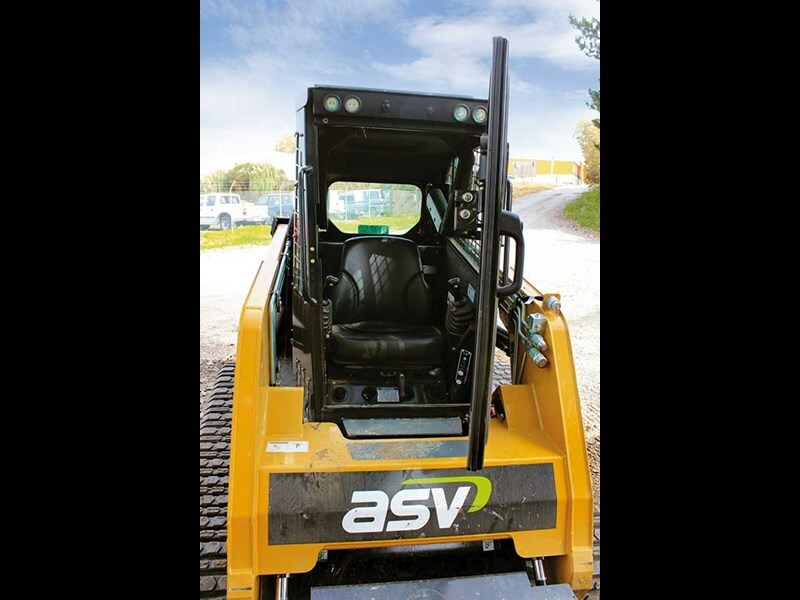 Sam Collins from Collins & Sons in Cambridge has just purchased his second ASV compact track loader from ASV distributor Porter Equipment. The ASV RT-60 is bigger than his ASV RC-30, which he has had for two years now, although the newcomer isn’t a replacement for the smaller machine. Sam says he’s sold on the compact track loader as a fast and efficient component of his fleet and sees space for both. I’m lucky to even see the machine at his yard today; it’s been out on various job sites solidly. "It has been in demand since it arrived," Sam tells me. "That’s proof that we needed it to supplement the other ASV already on the fleet." 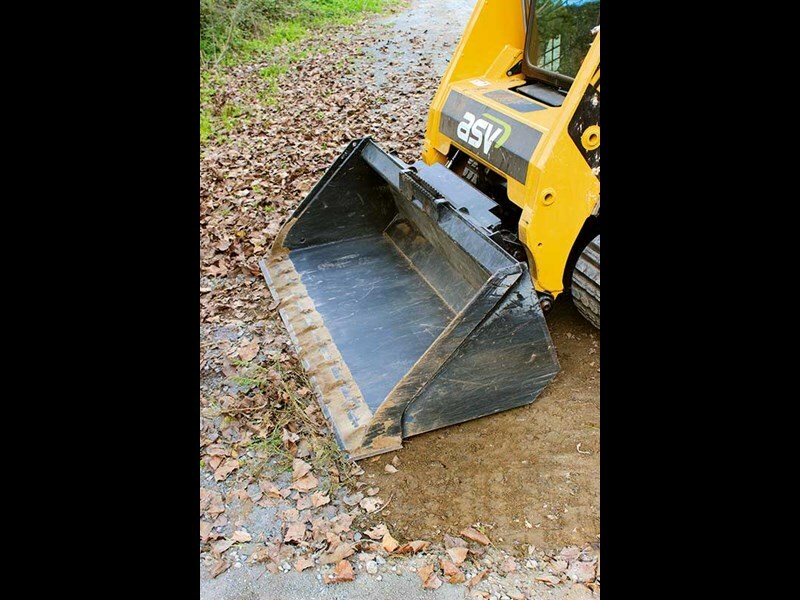 The ASV RT-60 compact track loader features an operating weight of 3143kg and a tipping load of 2463kg. 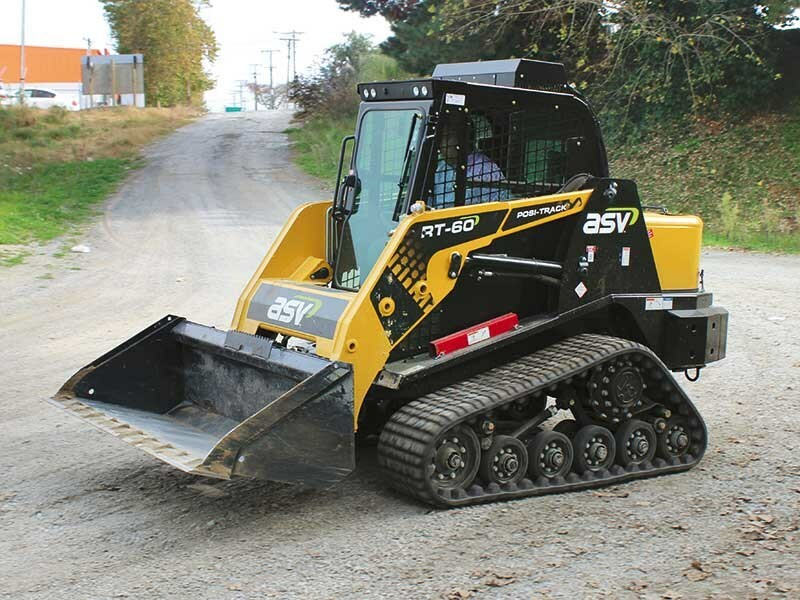 The 44.7kW (60hp) four-cylinder turbo diesel engine pushes this versatile machine around the job site with ease, seemingly regardless of the load weight in the bucket. 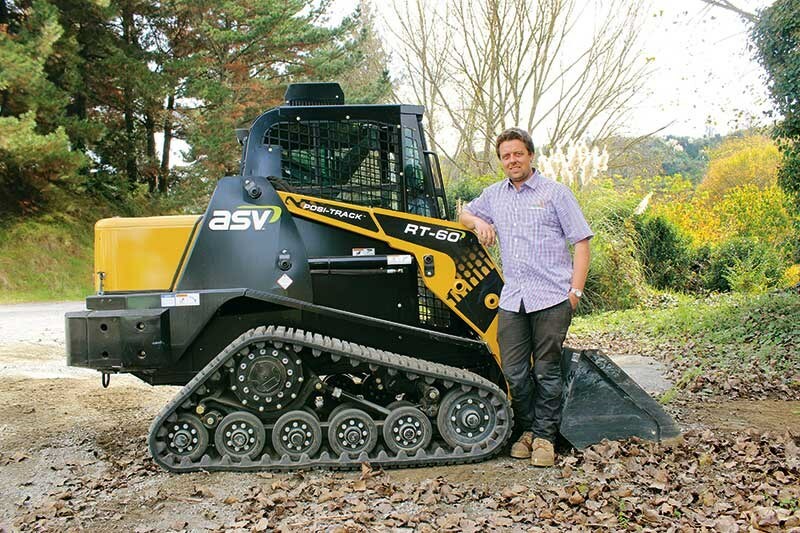 "The ASV has plenty of power and it’s really fast across the ground. 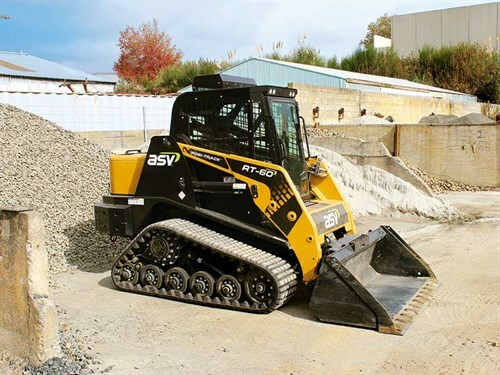 In fact its ground speed is one of its best features; if you can have fast cycle times it speeds up productivity across the whole job site," says Sam. The ASV runs at up to a maximum of 17km/h on tracks constructed of rubber compound with embedded co-polymer cords for extra structural strength. Sam’s machine features general purpose tracks, although both smooth-surface turf tracks and extreme terrain tracks are available as options, depending on the machine’s intended application. The hydrostatic drive system is controlled by a single joystick. Other in-cab features (accessed through the front-opening door) include intuitive loader and drive controls. Integrated safety guards and operator presence switch are standard features, as is a push-to-connect quick coupler system. Sam says his company’s dedicated compact track loader operator has already commented on how good the ASV’s air conditioning system is too. 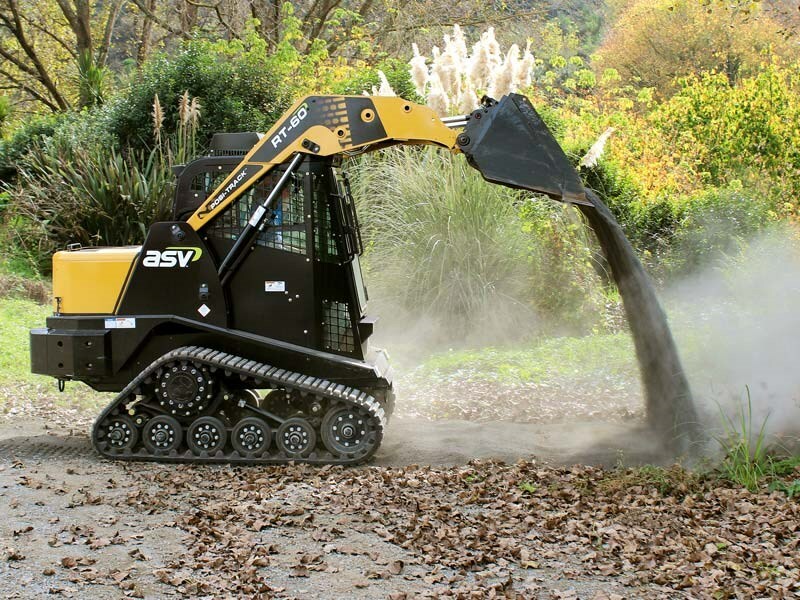 Befitting such a flexible compact machine, a wide variety of attachments are available for the ASV RT-60, including a backhoe, stump grinder, trencher, auger drive, rotary broom, dozer blade, a variety of buckets and more besides. In addition to the bucket the machine is wearing today, Sam also has a 4-in-1 bucket which is fitted to the ASV regularly. Sam says the ASV works well in confined spaces and is deployed on various tasks during the working week. It has proven an effective clean-up machine at the end of projects, as well as useful for levelling out pads, completing driveway work and house dig-outs. Collins & Sons also undertake tree maintenance work with local arborists, where once again the compact track loader proves its worth. The ASV’s compact footprint also means it is easy to transport between job sites; a small transport trailer is all that’s needed rather than a larger low-loader set-up. This also means it’s easier for Sam’s crews to use the machine on more than one site within a single day. Sam also runs a Hyundai excavator and BOMAG mini roller, supplied by Porter Equipment. He says he goes back to Porter Equipment time and again because they’re easy to deal with and have everything he needs. "The Porter team has so much depth to their service offering that it’s hard to look past them. If we ever need a spare part, they’ll have it. And of course they also have back-up machines if we ever need them too. "Add to that their ability to provide the same back-up service regardless of where we’re working – and our work takes us much further afield than the Waikato, such as up to Auckland and to the King Country – and you can see why they have such a positive track record in the industry. "At the end of the day, the ASV compact loaders provide us with heaps of flexibility because they perform so many separate tasks for us. They’re great all-rounder pieces of equipment and we certainly get our money’s worth out of having them on the fleet." 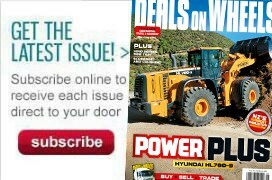 Check out this review of the Wolf WL80 wheel loader.